During the regular season, the Tigers went undefeated with a record of 9-0. The Tigers went on to win the Section 5 Championship and entered the WPIAL Playoffs with a first round victory over Montour by a 2-1 margin. Boyd Gillingham and Lonnie Hogue had two hits apiece with Hogue driving in Gillingham with the winning run. Tom thei made two spectacular catches in the outfield and made a brilliant throw to third base to nail a runner. In the third game of the playoffs, Boyd Gillingham pitched a dazzling two hitter and only yielded one unearned run as the Tigers defeated North Hills by a score of 4-1. Joe Namath paced the offense with a home run, a single and two walks. Lonnie Hogue also had a pair of hits and drove in the winning run. Although both teams were undefeated, the Tigers entered the WPIAL championship with Elizabeth Forward as the decided underdog. This game was played at the historical Forbes Field. Elizabeth Forward High School team featured future major leaguer Bill Robinson and the Beaver Falls Tigers countered with future NFL Hall of Fame quarterback Joe Namath. 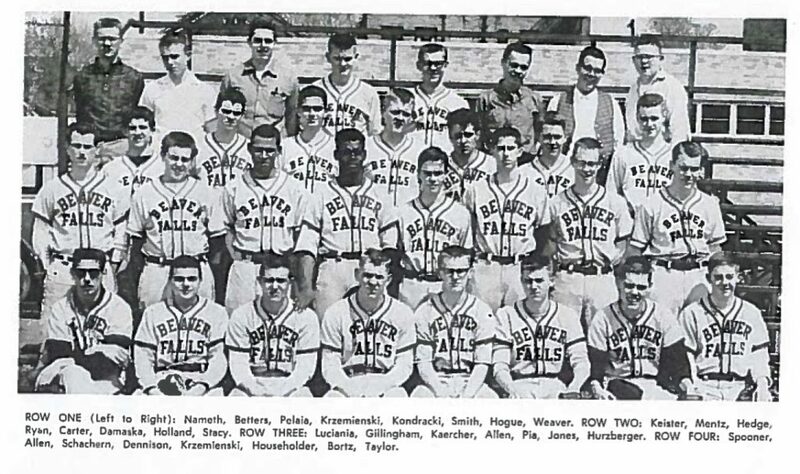 The Beaver Falls starting lineup consisted of Butch Ryan, Bill Damaska, Stan Kondracki, Tom Krzemienski Ernie Pelaia, Bobby Keister, Lonnie Hogue, Boyd Gillingham and Joe Namath. The game concluded with a score of 4-1 in favor of Beaver Falls, with a spectacular running catch in center field made by Lonnie Hogue, which ended the inning and saved the game for the Tigers. Boyd Gillingham notched another win on the mound. Bill Damaska led the offense with three hits including a triple. Joe Namath rapped a pair of singles and the game winning RBI. 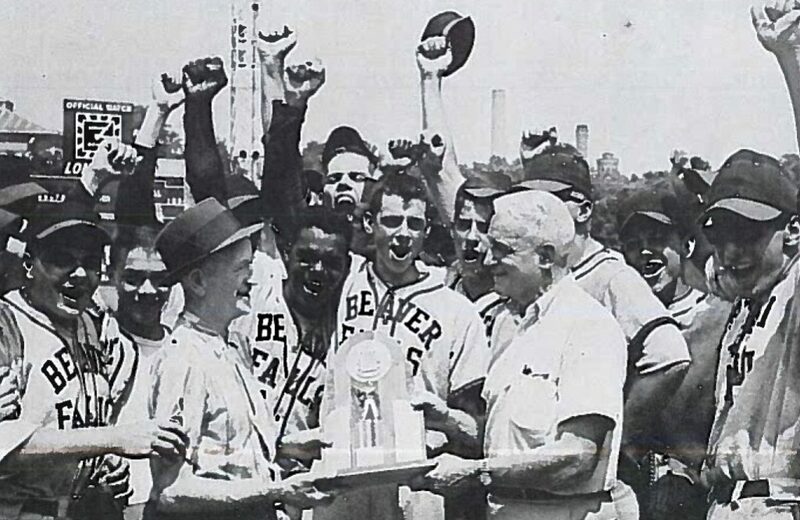 Leland Schachern was the team’s manager and Beaver Falls’ long time coaching icon in both baseball and football teams. Coach Schachern also coached Larry Bruno at East Liverpool High School.